Rev. Fr. 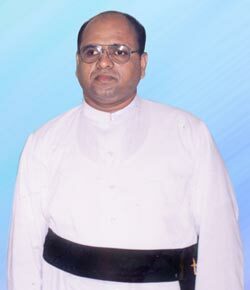 Mariampillai T. Sarathjeevan died tragically of heart failure during the final evacuation of the so-called “No-Fire Zone” in northern Sri Lanka. Fr. Sara, as he was known, was determined to stay with his people trapped between the Sri Lankan Army and the Liberation Tigers of Tamil Eelam. He cared for the wounded, buried the dead and gave spiritual support to those around him during the months of intense fighting. Those who survived the fierce, daily bombardment were able to escape when the LTTE decided to ‘silence their guns’ on Monday, May 18.